What do satellites have to do with air pollution ? Air pollution can be defined by the presence in the atmosphere of one or more contaminants in such quality and for such duration as is injurious (or tends to be) to health or welfare of human, animal or plant life. These contaminants can be chemicals, particulate matter or biological materials. 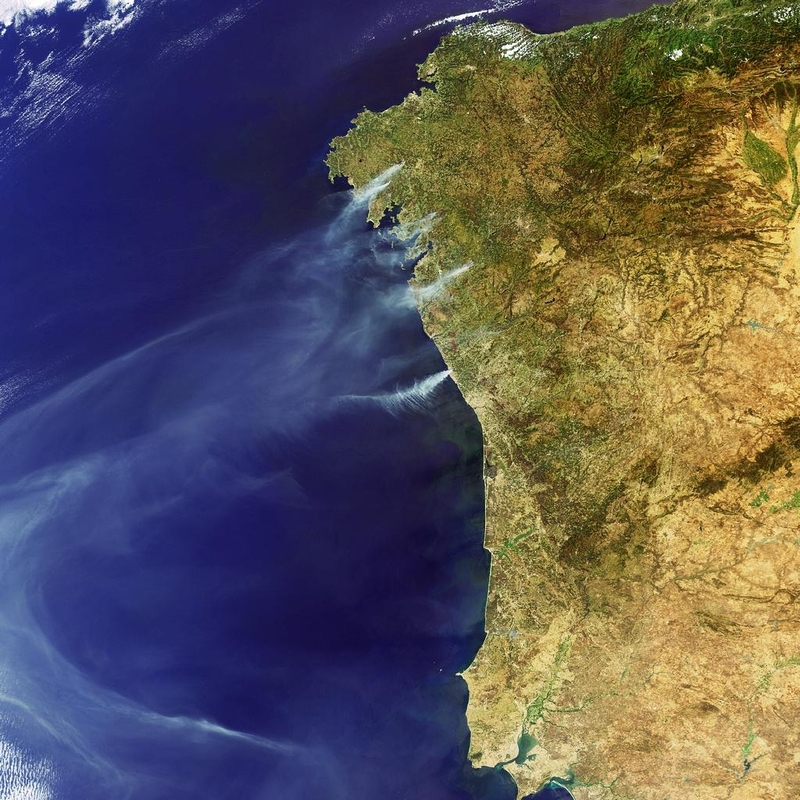 Continuous satellite observations help scientists to monitor the concentrations of air pollutants, from local to global scale. 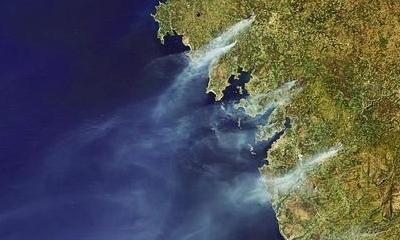 This Envisat image taken on 9 August 2006 captured some of the fires raging across north-western Spain and Portugal. Source: ESA.